Extra Km : Rs 50/Km. Driver Allowance : Rs 700/- Per Day Extra. 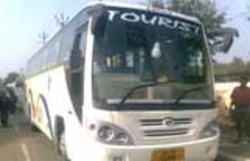 Manali Volvo Packages is a leading travel company established in New Delhi. We have our branch office at Manali. With the main focus on our best service we provide all type of travel related service to our guest and costumers. Due to our best service today we earned a big name in market and also gained recommend guest. Our staff is professionally experienced in their work. We provide 24 Hrs assistant services to our customers. You can get all these services as given below under one roof. Our special tours will make you return over and over again to experience the wonders of Manali. Manali blessed with some of the most spectacular and beautiful landscapes anywhere, it is a travellers paradise -lofty snow peaks, deep gorges, lush green valleys, fast flowing rivers, enchanting mountain lakes, flower bedecked meadows, beautiful temples and monasteries steeped in time. May it be for relaxing, sightseeing, trekking, mountaineering, fishing, Para-gliding, skiing, ice skating and golf, Himachal has it all...Come Explore Himachal with us.